The Nigerian Army on Friday said it had recovered a white Toyota Hiace bus, with registration number RYM 307 XA, which was reported missing with the driver on June 24 2018. Also recovered was a red Rover car, with registration number AG 645 TRR, which was allegedly reported to have been buried along with the occupants. The barbaric act is said to have happened on January 31 2013. 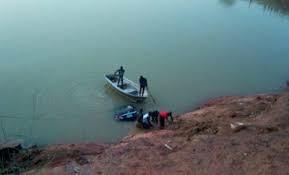 The Army therefore described as false and misleading, the report that 11 cars and two corpses had been recovered from the mining pond in Dura-Du District in Jos South Local Government Area of Plateau State. It said this was in addition to the a black Toyota Corolla car, with registration number MUN 670 AA, a customised white T-Shirt with Nigerian Army logo with the General’s name inscribed on it as well as a pair of converse shoe belonging to the retired missing senior officer, which it recovered on September 29, 2018. The Army was reacting to the controversy surrounding the whereabouts of a former Chief of Administration at the Army headquarters, Maj. Gen. Mohammed Idris Alkali (retd), who was declared missing under questionable circumstances. It, however, called on anyone with credible information about the whereabouts of the missing officer to come forward with such information, while assuring such person of confidentiality and a great reward. A statement by the Deputy Director of Army Public Relations, 3 Division, Col. Kayode Ogunsanya, advised the public to disregard the information in the social media about Alkali, who was said to have retired a few weeks before he was declared missing on September 3, 2018, a day after gunmen swooped on Dura-Du and killed 13 persons. Ogunsanya, however, said in an interview with The Punch that some suspects had been arrested in connection with the missing General but refused to give details.